The slow pace of development on the African continent has come to stand as one its peculiarities most especially when you compare it to other continents of the world. From the rusty rooftops, dust covered roads with potholes, the glint of cars on her roads highlighting in an aerial view; a city landscape deprived of basic electricity infrastructure at night, to the brownish gaze of the savannah, green forest and the shorelines of the oceans. It’s true! Africa has her peaks and bedevilled shortfalls. Call it under-development if you like but it’s an example of the minimal interference of civilization in nature and culture of the African people at its best. While we can’t do much about funding….at least for now, our efforts have been focused on ameliorating the remaining obstacles since opening our doors for business in 2002. We have been able to make a positive contribution to the problem of technical know-how by organizing workshops and trainings in molecular techniques, bioinformatics, phylogenetics and even the simpler stuff like ‘’How to pipette’’! We need not say much about our success in combating the problem of poor access to molecular biology products for research. This is evident through our offices in South Africa, Kenya, Tanzania, Nigeria, Ghana and Senegal. This has made access to research products such as reagents, consumables and instruments a departure from the past. 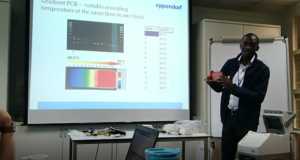 A few years ago, researchers in Nigeria waited for months to lay their hands on Taq polymerase! Now, they can get their Taq the same day or even the very hour they order, thanks to our freezer programmes and local offices. On the technical support front, scenes like below aren’t uncommon. 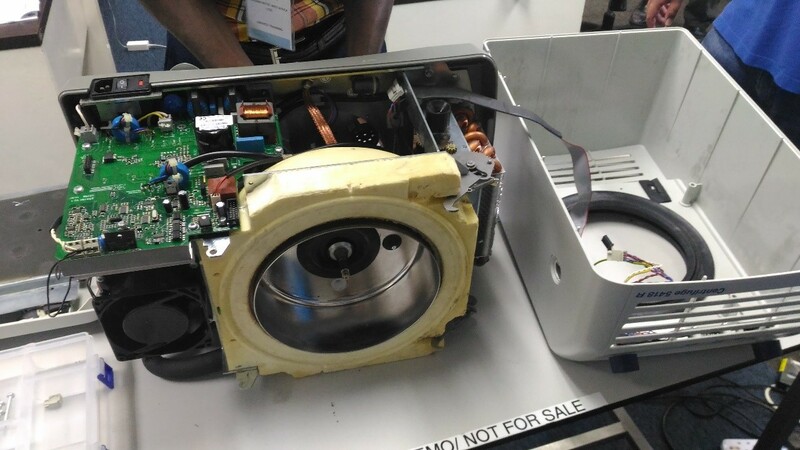 Excuses such as ‘’The instrument was never installed’’, ‘’The suppliers sold us the wrong instrument’’, and ‘’We were never trained on how to run the equipment’’ are very common everywhere you go. In fact, most labs still purchase their instrument solely based on costs regardless of predetermined workflows. Purchasing the cheapest instrument is almost always a bad idea! With this problem in mind, we at inqaba biotec West Africa have decided to add to our portfolio an instruments servicing department. Our aim is to have less of broken instruments in West Africa. 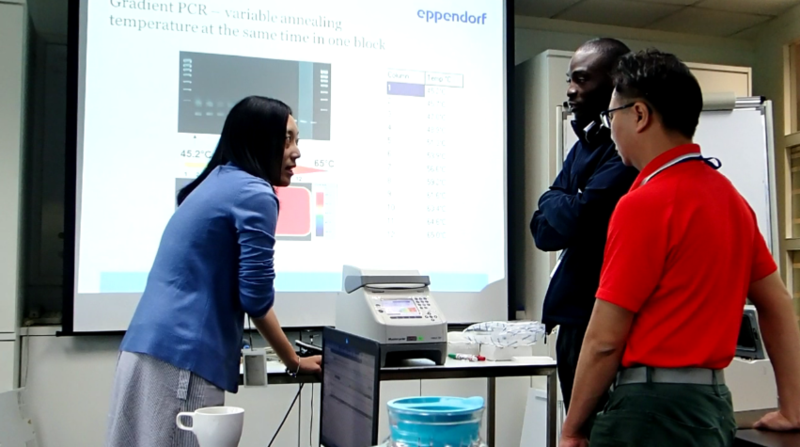 Our pioneer engineer is Mr Henry who was recently at an Eppendorf service training in Malaysia. While in Malaysia, Henry received an in-depth training on fixing centrifuges and thermal cyclers. In the next few months, he shall be trained further on other instruments such as freezers, pipettes and more. 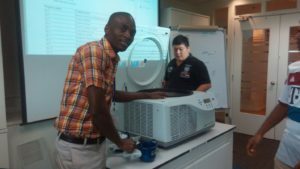 Henry recently completed his MSc in Electronic Engineering from the College of Agriculture, Engineering and Science, University of KwaZulu-Natal, South Africa. Over the coming months, we plan to build on our instruments servicing portfolio. 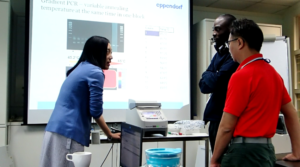 In the meantime, should you have any difficulties with your Eppendorf instruments, centrifuges, thermal cyclers, pipettes, etc, please feel free to leave a message at info@inqababiotec.ng . After all, as a company that sells reagents, it is in our best interest that instruments are maintained and in good working conditions!